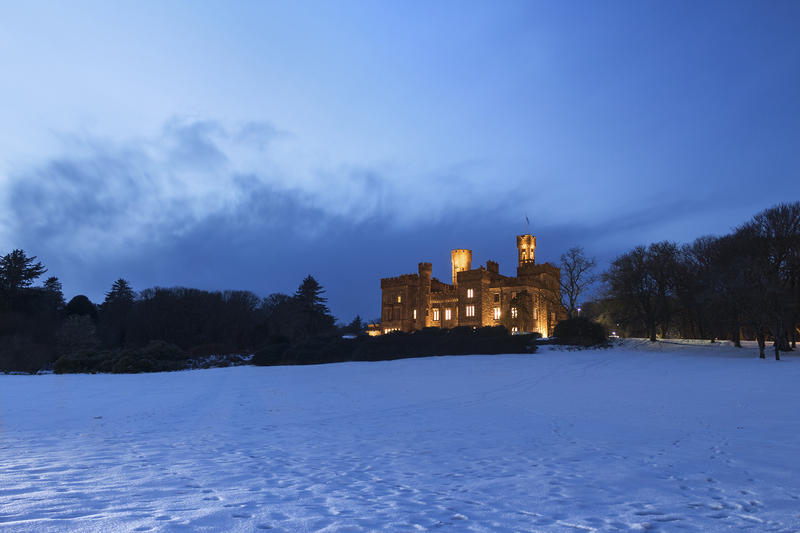 Light snow showers in the last two/three days here in Stornoway, and finally yesterday -between fast-moving blizzards- I managed to get a shot of Lews Castle during the Blue Hour. The contrast between the warm tones of its lighting and the cold landscape managed to create a fairytale-like scene, like a magical citadel suddenly appearing to some wintry travelers. Magnificent! ← Welcome to my Photo Website!